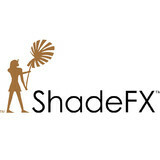 ShadeFX makes high quality, custom Retractable Canopies and Pergola Canopies. ShadeFX affords the comfort of fine cushioned furniture, overflowing dining tables, and memorable family events free of concern for the elements: rain or shine, so you can enjoy every day outdoors! Our mission is to bring comfort and style to outdoor living. We understand that every customer is unique which is why we make ShadeFX canopies to order to perfectly express your idea of the ultimate outdoor living space. Each canopy is tailor fit to your pergola with fabrics and design details carefully chosen by you. 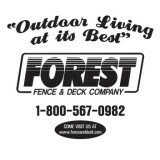 Three brothers created Forest Fence and Deck Company Ltd. from the ground up in 1981. The family run business specializes in the design & creation of residential & commercial decks using TREX Transcend , AZEK p.v.c, Hardwoods (primarily Ipe), Western Red Cedar & Sienna Brown treated lumber. They also specialize in custom fencing, cabanas & gazebos (Again - Both commercial & residential) Working within a network of "outdoor trades" - Let Forest Fence & Deck Co Ltd & their talented staff help to build your dream outdoor living space. Contact them for a free quotation. Mississauga Decks & Trim is a proven reliable custom deck builder, serving the GTA. We specialize in deck building with materials such as composites, PVC, exotic hardwoods, cedar and pressure treated. We use only the best materials and pride ourselves on an equally high standard finish. We are a small team of highly skilled carpenters with many years experience in deck building. 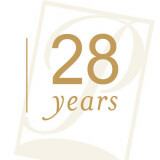 We pay special attention to detail and are confident our workmanship will stand the test of time. All decks/fences built by Mississauga Decks & Trim comes with a five year warranty on workmanship. The composite and vinyl deck materials we use carry an additional manufacturer warranty, ranging from twenty-five years to a lifetime warranty respectively. In addition to custom decks and fences, we also offer built in cabinetry, and finish carpentry. Contact Mississauga decks & trim now and their talented staff will help to build your dream outdoor living space. Welcome to Golden Valley Decks. We specialize in deck building with all kinds of materials such as Trex, Azek, IPE, cedar and pressure treated. Our crews are highly skilled, and everyone needs to truly love their job. 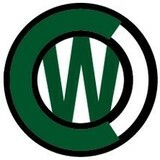 with confidence of each job we have done, we provide a 5 years workmanship warranty on every project. We believe that satisfaction of customer is the key of our success. If you are looking for a reliable, professional contractor to build your dream deck, then Golden Valley Deck is the one you can trust. YOUR ONE-STOP SOURCE FOR SHEDS, POOL CABANAS, PAVILIONS, STUDIOS AND GAZEBOS! For nearly 20 years, Shed Village has provided quality outdoor wood structures. Whether pool side or to compliment your landscaping, we have the experience and know-how to provide you with the best valued product in the market today. ROYAL Decks Co. is a custom decking company priding itself in high quality of work and complete customer satisfaction. ROYAL Decks Co. focuses on specialty materials, such as exotic hardwoods, low maintenance materials and high grades of cedar. ROYAL Decks Co. offers a complete solution for a homeowner from custom designs to the execution of the project. ROYAL Decks Co. was founded in Burlington Ontario and quickly grew to serve all surrounding areas of Toronto and from 2008 also Calgary. We are successful because we take every project as if it was the only one, although we build hundreds each year. In order for the deck to be great, it has to be usable, look great and fulfill all of the customer's expectations. With our extensive experience, we will work with you to design the deck that will serve the purpose, according to your needs. This means getting the right size and shape of the deck, getting the right features and selecting the right materials. We work with many materials of different properties and we are sure to find one that will work for you. We have only the most experienced carpenters. Our carpenters have been in construction most of their lives and they build decks not because they have to, but because they love it. All of our decks have to meet very strict ROYAL Decks Co. quality control on top of any building code requirements. Our decks not only meet building code, they exceed it. Thommoknockers prides ourselves in providing top quality ideas, designs, and craftsmanship to home and backyard renovations. We understand that people not only want to visually enhance their homes but also add value that will stand the tests of time. Our finished products are always up to date with local design and build codes, and use the highest quality materials and finishings. We work very diligently to ensure that our turnover time from start to finish is as quick as possible to minimize inconvenience, while maintaining the highest attention to detail and meticulous results. We work on your home as if it were our own! You dream it and we'll build it! Paradisaic Building Group Inc. works hard to stand out as unique. As a family owned and operated company, they took as a starting point the idea that contracting should be understood as a relationship, rather than as a business interaction. To this end, Ben and Vanessa have worked hard to bring strong family values together with expert craftsmanship in an effort to address the needs and concerns of every client. These ideas have seen Paradisaic grow from a small deck and landscaping group, to one of Ontario’s premier outdoor living and interior renovation specialists. Where decking had once been a small afterthought for homeowners, there is now an increasing trend toward understanding the backyard as a lived space. The growth of the industry has meant improvements in materials and breadth of designs, but it also carries with it the potential loss of home-oriented values. This is where Paradisaic stands out as a company that caters to the needs of its clients. We understand how busy life can get and how much the quiet tranquillity of the backyard means to parents, kids, and friends. Whether it is a small and functional place to barbecue, or a spacious and beautiful area to entertain, every aspect of Ben’s designs cater to the individual. Your home and design is then rendered in beautiful, high quality 3D software so every decision you make is an informed one. Paradisaic’s ability to blend traditional craftsmanship with modern designs and building techniques ensures every aspect of your project, big or small, modern or classic, is carried out with care and attention to detail. Since every project is customized to fit your individual life style, we can also bring together the inside of your home and your outdoor space with our renovation services. Complete interior-to-exterior designs allow the beauty and style of your home to compliment your outdoor living space in both form and function. From design to build, Paradisaic will help you create the project of your dreams. Benchmark Building Services is owned and operated by Rosario Ungaro who is GTA’s woodwork expert. With 25 years of experience, he is here to provide customers with worry free experience. Solving various building challenges and delivering superior crafted outdoor enclosures are his speciality. Rosario is known as somewhat of an expert. In fact, many contractors drop by his office to chat about new materials or to ask about how to deal with a certain problem they are having—such is Rosario's reputation among his colleagues. He is known to be tenacious about keeping up on the latest building materials, tools, products, and trends. With such great experience behind its employees, Benchmark Building Services seeks high quality projects that start around $10,000 and up. If you’re looking for build or add any type of incredible outdoor structure to your home and an enjoyable construction experience to your home, then don’t hesitate to call us! HTR Duradek Inc is a certified Duradek installer who is committed to providing unmatched service and quality workmanship. With Duradek you can water proof your deck, creating a dry space below, or convert your walkable flat roof into an outdoor oasis. Let HTR Duradek open your deck and roof top to endless possibilities and bring you into the new age of maintenance free outdoor living. What services do deck and patio builders in Beeton, ON provide? To help you choose the ideal style, configuration and materials for your deck or patio, your deck and patio contractor will survey your Beeton, ON lot and your home to come up with a design that complements your exterior as well as being structurally sound. He or she will recommend sizes, heights and construction materials that suit your lifestyle and climate, as well as explain the best stain or finish options. Additionally, deck and patio professionals can provide insight into additional components such as outdoor kitchens, patio covers, fire pits, outdoor lighting, arbors and more. Your deck and patio professional might work closely with another Beeton, ON lawn and landscape professional. Here are some related professionals and vendors to complement the work of decks, patios & outdoor enclosures: Landscape Architects & Landscape Designers, Garden & Landscape Supplies, Stone, Pavers & Concrete, Landscape Contractors, Building Supplies. Find a deck and patio builder in Beeton, ON on Houzz.